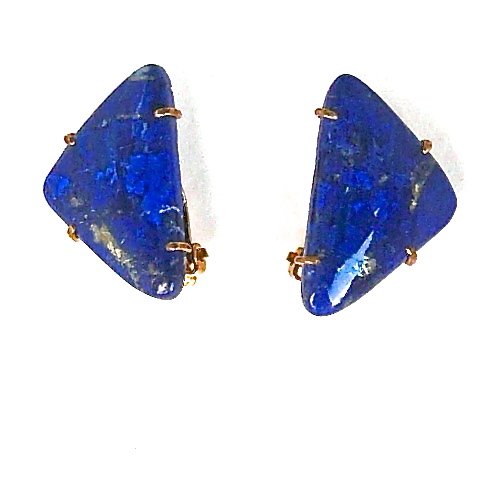 These triangular shaped pieces of beautiful blue lapis are made into French clip earrings(post with clip to secure them firmly on the ear). They are framed in the back with 18k gold vermeil with a post and clip. The lapis is 1 1/8” long by 3/4” wide at the widest part. 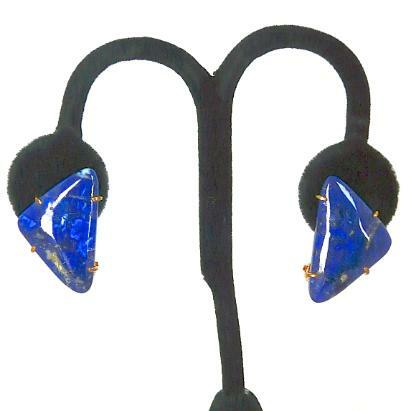 Lapis has areas of gold of pyrite or white of calcite in the gemstone. 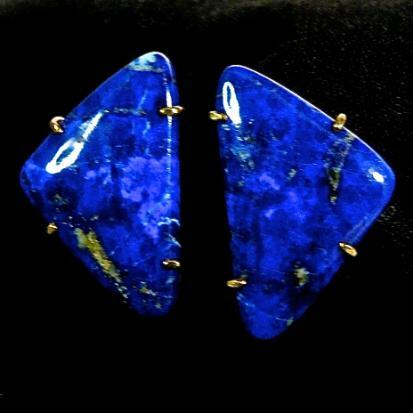 Lapis was a favorite stone used by the ancient Egyptians in their jewelry. For hundreds of years it has been ground into a powder to make the artists’ pigment ultramarine blue. It has been called the "sapphire" in Roman times and has been a favorite stone because of its beautiful blue color.